There’s the bikini, the tankini and now the burkini – a swimming garment worn by Muslim women to cover everything but the feet, face and hands. However, beach towns in France have started banning the new style, incorrectly citing feminism as the underlying reason for such legal action. Rossignol is joined by Prime Minister Manuel Valls, who called the burkini part of the “enslavement of women,” in the support of banning the bathing suit country wide. There’s a major issue with this logic though – feminism is about women having the choice to wear – and do – what they want. Mandating a woman must show skin is as bad as mandating a women must cover up. How can a government—in any country—tell women to cover up when breast feeding in one breath, and then in the other tell them to take their clothes off to swim? Hello pot, this is kettle. Those who oppose the ban said burkinis are actually a sign of liberal French Muslim values and give Muslim women a new level of freedom. 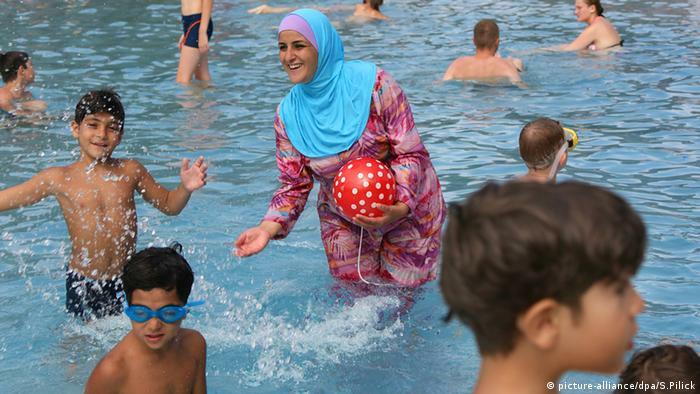 “It means Muslim women who didn’t used to enjoy that day at the beach or at the pool are now taking part, they are socializing,” said Marwan Muhammad, the executive director of the Center Against Islamophobia. But the town of Cannes, the first to incite the ban, has gone so far as to fine women wearing burkinis, most recently three women aged 29 to 57, who were swimming with their children at the beach. Each of the women were fined and told to leave the area. This prohibition is added to the list of already outlawed religious-related attire female Muslims may wear, including face veils and head scarfs. One thing is crystal clear: these politicians aren’t promoting feminism. They’re making it harder for women to live the lives they choose.